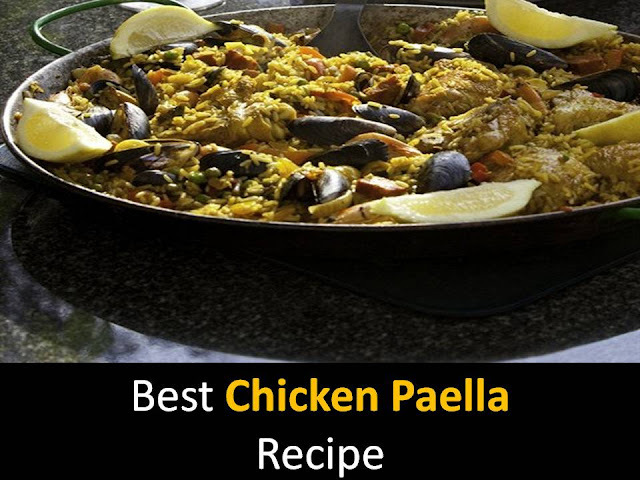 Chicken paella is easy to prepare, there is no hassle with it, cooked quickly, and it turns out delicious. Step1 – Took the Chicken breast and cut into small pieces. Heat half the oil in a frying pan and fry the chicken for 10 minutes until it turns golden brown. Then remove it with a slotted spoon and set aside. Save the oil in a pan. Remove the pan from the heat and pour the broth into a bowl. Step3 - If you are using mussels, open the shells with a knife blade and remove the beards, then rinse them under cold water. Separate all mollusks with damaged shells or those that do not slam instantly when touched. Step4 - Fold the shells into a deep frying pan, add 50 ml of water, close and cook on high heat for 3-6 minutes until they open. Step5 - Pour the liquid in which the mussels are cooked, pour the gauze into the shrimp broth. Measure and add water to 1.75 liters if needed. 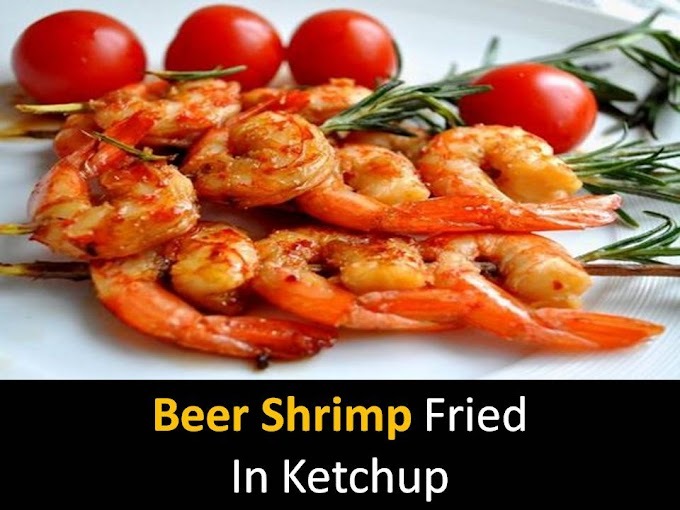 Pour into a saucepan and heat up - but do not let boil. Step6 - Pour the remaining butter along with the chicken in the pan with a thick bottom - or in the pan for the paella - and heat it up. Add the finely chopped onion and garlic and cook over low heat, stirring for 7 minutes. During this time, peel off the skin and chop the tomato and send it to the pan too: cook for a few minutes, stirring constantly. Step7 - Set aside some shrimp for decoration, and place the rest in a frying pan with squid, cut into 5 mm thick ringlets, chicken and rice. Add the mussels. Salt and pour hot broth. Shake the pan gently to make sure the liquid has penetrated down. Step9 - Place the pepper on top of the rice, cut into strips, the remaining shrimp and shells in the shells. Put the pan in the oven and bake for 25 minutes at 180 degrees. Step10 - Remove the pan from the oven put on a paper towel and leave for 5 minutes. Serve with lemon slices, put on the edge of the pan.